Early Literacy Activity Calendar: July 2018. Keep kids learning this July! 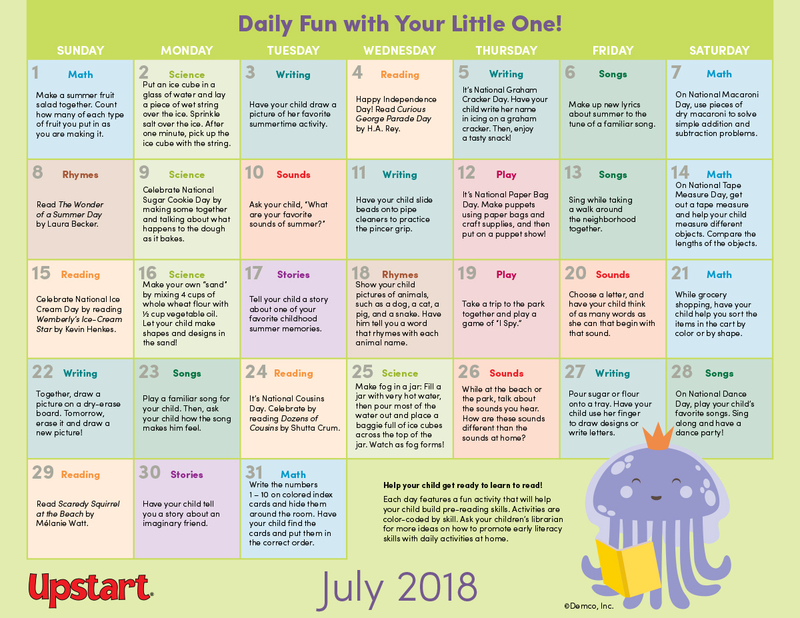 Early Literacy Activity Calendar: July 2018. Keep kids learning this July! Help parents keep their kids learning this July with simple early literacy activities they can do at home. The July calendar offers ideas to celebrate National Ice Cream Day, National Dance Day, National Macaroni Day and more with crafts, math and science activities, book suggestions, and songs that little ones will love! 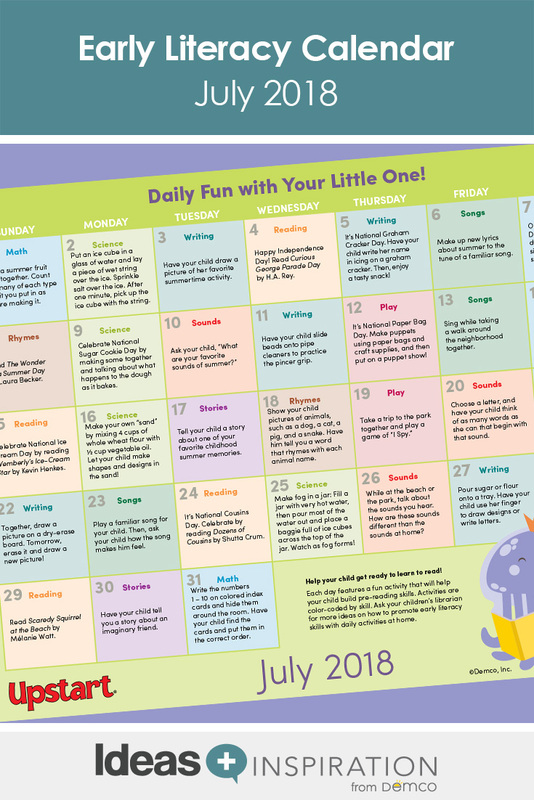 Download the July Daily Fun With Your Little One calendar.